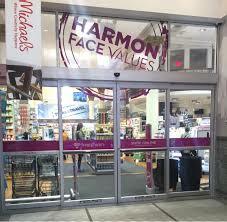 How would you rate your experience with Harmon Face Values ? Harmon Discount was founded in 1971. 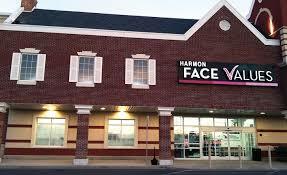 Although many people will always remember this discount store as Harmon Discount, its name was changed to Harmon Face Value in the mid-2000s, after it became a subsidiary of Bed Bath and Beyond. Bed Bath and Beyond acquired the company in 2002. Many Bed Bath and Beyond locations include a “store within a store”, with a section set aside for Harmon Face Value products. Since being acquired by BBB, the company has expanded to become one of the leading health, beauty and cosmetics retailers with 56 separate locations in the states of Connecticut, New York, New Jersey, and Pennsylvania. The company provides a wide range of products and services related to health and beauty, including creams, lotions, and shampoo. Harmon Face Values offers leading brands, including John Frieda, Nexxus, Fekkai, Organix, Pantene, Tresemme, and Marc Anthony. Additionally, the company provides its own Face Values brands on several beauty and health items. New stores, such as a New York store opened in 2016, offered some typical BBB items, such as bedding, and even a few grocery items, such as milk, to help compete with small drug stores or convenience stores. Harmon Face Values headquarters are located in the BBB corporate office in Union, New Jersey. Question 1: What is the phone number for Harmon Face Values? Answer 1: The phone number for Harmon Face Values is (908) 688-7023. Question 2: Who is the CEO of Harmon Face Values? Answer 2: The CEO of Harmon Face Values is Steven H. Temares . Question 3: Who founded Harmon Face Values? Answer 3: Harmon Face Values was founded by Warren Eisenberg and Leonard Feinstein in 1971. Want to make sure Harmon Face Values sees your comment or complaint?